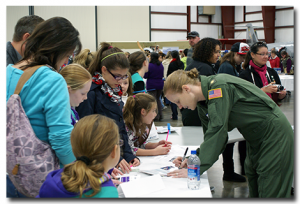 UPDATED: The New England Air Museum’s Women Take Flight program, on Saturday, March 11, 2017, welcomed hundreds of visitors – many young women under 15 – to help celebrate the contributions of women in U.S. aerospace history, and to hear the amazing stories of three accomplished women in the aerospace field. Each one, an exciting role model, delivered an inspiring message that women have and will continue to play critical roles in many different aspects of aerospace, in the United States; and that there are great careers open to women in all phases of aerospace today, so join us! As a Woman-Owned business and a manufacturer of precision metal stamping components for military and civilian aircraft, Atlas Stamping was proud to support this tremendous event. We thank Professor Harris for sharing her presentation with us. Lt. 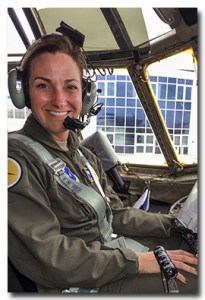 Colonel Kristen Snow, Commander of the 103rd Airlift Wing Maintenance Squadron, Connecticut Air National, spoke of her decision to learn to fly and apply to the Air Force flight training program, and her ten years of active duty service in the Air Force. Snow has served in Central America, Saudi Arabia, and Iraq flying CH-130 and C-21 aircraft in support of missions including Operation Enduring Freedom and Operation Iraqi Freedom. Dr. Duchess Harris, Co-founder of the Human Computers at NASA research initiative, shared her “family story” of a college educated grandmother, hired by NASA in the 1940’s to proof their engineers calculations, which became the basis for the award-winning film, Hidden Figures. 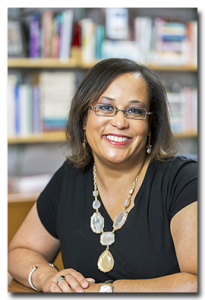 Dr. Harris chairs the American Studies Department at Macalester College, St. Paul, Minnesota. Lee Boulanger shared her 30 year journey from aircraft mechanic to aerospace industry executive. Having joined Bombardier – a worldwide leader in aerospace and rail transportation, with locations in 28 countries – as a technician, Lee has taken on greater and greater roles in multiple leadership and operations management positions, around the globe. 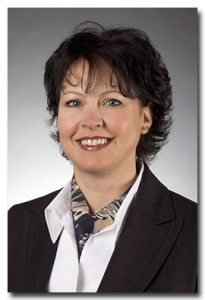 She currently serves as General Manager of the Bombardier Hartford Service Center in Windsor Locks. THERE ARE NO BARRIERS TOO GREAT, OR CHALLENGES TOO BIG, TO BEING THE WOMAN YOU WANT TO BE, AND PURSUING THE CAREER YOU DESIRE! As part of our mission, Atlas Stamping & Manufacturing is committed to creating partnerships that strengthen our community and help build the pipe-line for the manufacturing workforce – both young women and men – of the future.